Qantas has partnered with AustralianSuper, Australia’s largest industry super fund, to offer 20,000 bonus Qantas Points to new customers of the fund. To take advantage of this deal, you need to join AustralianSuper via this page before 5 May 2019 and contribute at least $350 to a super account or Choice Income account within the first six months of membership. I’ve read the T&Cs and there’s no mention of whether the contribution has to be personal or from an employer, so either option should work. 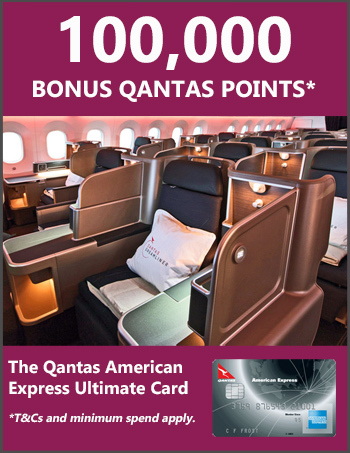 You’ll receive the Qantas Points 2-3 months after meeting the above criteria. This deal is worth considering if you’re willing to go to the effort of opening a new super account and making a contribution. The cost is small: just the usual admin and investment fees, plus if you decide to exit the fund, a $35 fee will be charged. Note that new laws will ban exit fees from 1 July 2019. You can view all the T&Cs on the offer page here and the fund’s fees are shown here.